Home » Affiliate Marketing » blogger help » BlogginG » Earn Money Online » iNTerNET » Internet Marketing » Online Earning » SEO » Tech tips » Tech Tricks » What is Affiliate Marketing Exactly..? Affiliate marketing is a type of Internet marketing System.Affiliate marketing is the process of earning online. There are a lot of definitions of affiliate marketing but most of them bear same meaning. In this system, the affiliates earn money as how many people visit his sites. He is paid for every visitor or customer linked by him. It is assured in this system that no payment will be due if the results is satisfactory. Generally, this marketing is operated by an affiliate network which links the affiliates and merchants in an area. The affiliate network works as third party to both of the parties. There is no doubt of collecting payment as network collects the payment and adds it to the account of affiliate. 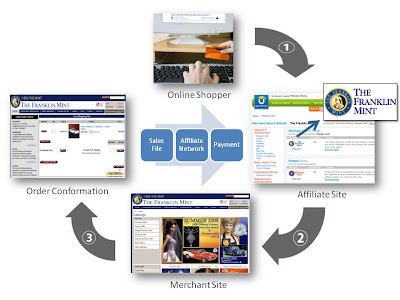 Affiliate marketing is a type of Internet marketing System. Think You a Affiliate (A part time employee to AMAZON working from your place where ever you are). You want to earn money . Then some of your website visitors see and purchase some products in Amazon through your site. Then Amazon gives You some percentage of money in which sales happen.. Affiliate marketing is commonly confused with referral marketing, as both forms of marketing use third parties to drive sales to the retailer.However, both are distinct forms of marketing and the main difference between them is that affiliate marketing relies purely on financial motivations to drive sales while referral marketing relies on trust and personal relationships to drive sales. Affiliate marketing is frequently overlooked by advertisers.While search engines, e-mail, and website syndication capture much of the attention of online retailers, affiliate marketing carries a much lower profile. Still, affiliates continue to play a significant role in e-retailers' marketing strategies.